A £7.8m ($10 million) cutting-edge heart centre was dedicated at Hadassah Hospital Ein Kerem in Jerusalem. 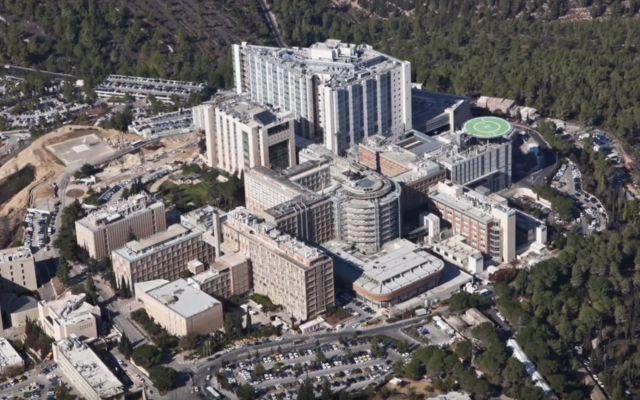 The centre, which occupies the third floor of the Sarah Wetsman Davidson Hospital Tower at Ein Kerem, uses sophisticated cardiac technology and more than doubles the department’s capacity to treat heart patients. The unit includes 11 intensive care private rooms and a like number of post-catherisation beds, as well as another 32 beds in the cardiac ward. The Irma and Paul Milstein Heart Centre was unveiled last week, according to an announcement by Ellen Hershkin, national president of Hadassah, the Women’s Zionist Organisation of America. Howard Milstein, a New York entrepreneur and real estate developer, made the dedication in honour of his parents. He and his wife, Abby Sniderman Milstein, earmarked their donation for the centre.